Bemidji, Minnesota–The authorities had to intervene when a dispute between two local residents radically escalated. It seems that at some point during the night, Mr. Weedly’s vehicle had become covered in a mountain of blue feces. 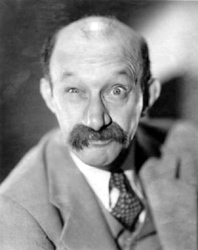 “Are you kidding me?” Mr. Weedly said in exasperation. “Are you kidding me?” Mr. Weedly said again. It seems the dispute began when Mr. Bunyan challenged Mr. Weedly for the presidency of the local chapter of the Minnesota Sierra Club and defeated him in the chapter’s election. “I just felt it was time for a new chapter in my life,” Mr. Bunyan explained. “It s— on me,” his wife said tersely. The authorities have issued warnings to both Mr. Weedly and Mr. Bunyan. They also asked Mr. Bunyan to try and control where his blue ox relieves itself, but they told him from a distance. 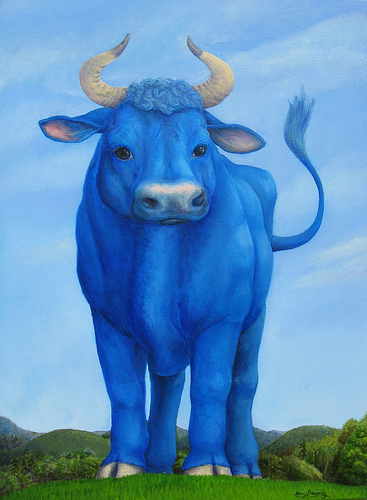 The famed blue ox–I don’t know what he feeds it.